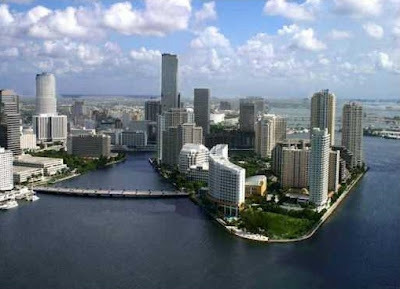 Brickell is quickly becoming the most popular areas in Miami. As it grows, more and more people moving to Miami or from another area of the city are settling down in Brickell. Often referred to as the “Manhattan of of the South,” young professionals love the excitement and action in Brickell while executives from other states and countries who spend a lot of time conducting here choose it for the convenience of being close to work. Built in 2006, this annual rental at the Sail on Brickell looks brand new with a beautiful gourmet kitchen that has stainless steel appliances, granite counter tops and very sleek, modern cabinets along with new paint and carpeting. With beautiful city views from the unit’s balcony, this is a perfect unit for most any buyer. The Sail is located close to the Bay and adjacent to Jade, one of Brickell’s premiere condominiums. This furnished one-bedroom unit is an excellent option for short-term rentals (three-month minimum). In addition to beautiful city views and very stylish décor, this unit includes a washer and dryer as well as full use of all condo amenities. Some include a heated pool, well-equipped gym, 24-hour security, restaurant and bar, valet, onsite management and more. Shorter terms are acceptable with a slightly higher rental rate. Situated in Tower 1, this two-bedroom unit offers fabulous Bay and city views and an open floor plan that is comfortable and accommodating for residents. The Four Ambassadors is a classic Miami condominium built in 1968 in the center of the Brickell Financial district and close to Brickell Village and other Brickell restaurants and entertainment. The monthly rental rate on this annual rental includes electricity, water, reserved parking and full use of all building amenities like the pools, tiki bar, barbeque area, marina, valet and more. 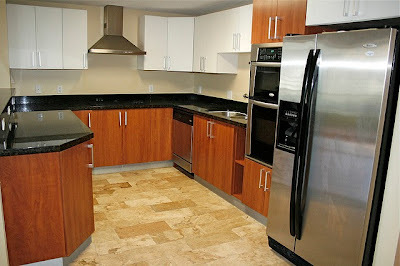 Fortune House is a perfect option for those who come to Miami for a few months at a time as it offers seasonal rentals. This two-bedroom rental is fully furnished and offers beautiful Bay views. Community amenities include an outdoor heated pool with bay views, sundeck with lounges, umbrella tables, gazebo and grills, a private club room with service kitchen, a fully-equipped fitness center with locker rooms, saunas and steam rooms, multi-lingual concierge, valet parking and more. 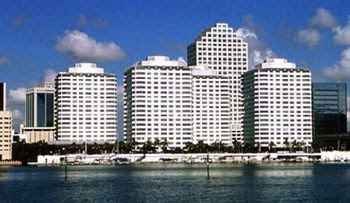 Here is an excellent opportunity to live on gated and exclusive Brickell Key for under $3,000 per month! As the only three-bedroom, two-bath listed for rent, this is a corner unit that has high ceilings and marble floors. Additionally, the monthly rate includes two reserved parking spaces with the furnished rental as well as community amenities like the outdoor pool, clubhouse, club house, tennis courts, fitness center, spa and hot tub, assigned parking and more. Located on the northern edge of Brickell and facing the Brickell River, this corner three-bedroom, two-bath unit features a large master with walk-in closets, three terraces with beautiful views and so much more. Close to all of the hot spots in Brickell, residents enjoy the landscaped infinity-edge pool and sun deck situated on the 11th floor overlooking the river, private ladies’ and men’s floor each with its own sauna, whirlpool, steam, lockers and dressing areas, a fully equipped fitness center, 24-hour valet and so much more. Offered on an annual basis, this is a great investment for the location and views. There are loads of opportunities for affordable luxury in Brickell. Whether you are interested in a short-term or long-term rental, furnished or unfurnished, Brickell rentals are there to meet your every need and desire. If you are interested in investing in Brickell real estate as rental property or a second/vacation home, Brickell is an excellent investment.